More than 75 students gathered Saturday to discuss the campus reverberations of the ongoing lawsuit alleging Harvard discriminates against Asian-American applicants in its admissions process. 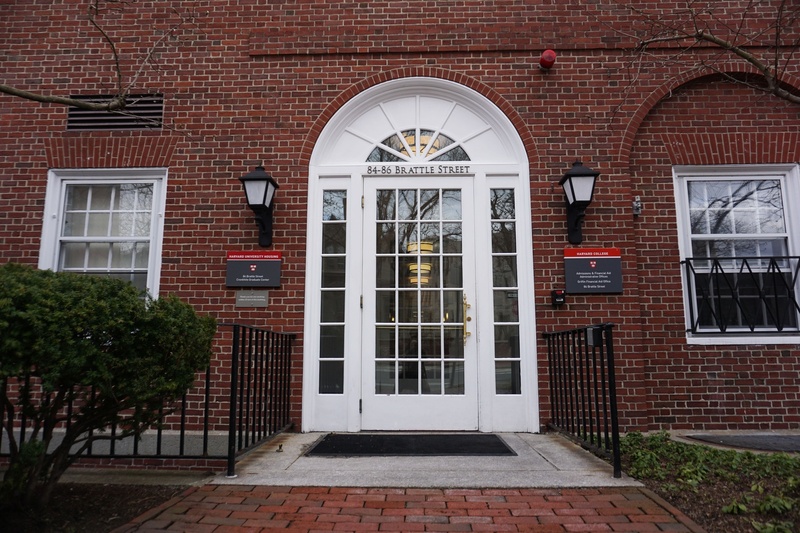 Sally Chen ’19, co-director of the Task Force on Asian and Pacific American Studies—the group that organized the event in the Science Center—said the meeting was meant to inform attendees about the lawsuit and to address questions and tensions among undergraduates. “We were hoping to address these concerns in the Asian-American community about what is going on in holistic admissions, how is this different from discrimination, and wanted to bring these issues out in a space where people could talk about it without feeling like necessarily there was all tension,” she said. The lawsuit—which the anti-affirmative action group Students for Fair Admissions filed against Harvard in 2014—will likely come to trial in mid-October. The Department of Justice is also conducting a separate probe into Harvard's admissions practices. Both the Students for Fair Admissions litigants and the Justice Department have formally requested Harvard release thousands of pages of admissions documents, and a federal judge in Boston ruled last week that Harvard must file certain previously confidential admissions records with the court—one set under seal and one redacted set accessible to the public. The event Saturday consisted of panel and small-group discussions, followed by a question-and-answer session held between the audience and panel members. Panelists included Graduate School of Education Professor Natasha K. Warikoo, NAACP Legal Defense Fund lawyer Michaele N. Turnage Young, and Matt Cregor, a member of the Lawyer’s Committee for Civil Rights and Economic Justice who is working with a multiracial group of students to oppose the Students for Fair Admissions lawsuit. Cregor opened the discussion with a brief overview of the lawsuit, critiquing Students for Fair Admissions President Edward Blum, who is leading the legal campaign against Harvard’s admissions practices. “Mr. Blum is effectively leveraging what is a meaningful concern on behalf of Asian Americans in the way they are treated compared to white students that are applying in order to eliminate any use of race conscious admissions to support underrepresented racial minorities,” Cregor said. Warikoo emphasized this point, highlighting what she called the irony that laws meant to protect minorities are now being used against these groups. “I don't know if people see the irony behind these laws that are designed to protect racial minorities that are now being used as an argument against protection for racial minorities,” she said. Panelists discussed the definition of merit and what they called a perception that minorities must compete against each other in the admissions process. “I think what we tend to do is sort of say that… these fixed seats for whites are constant and then Asians and blacks and Latinos are fighting for the crumbs at the ends,” Warikoo said. Several College affinity groups, including the Black Students Association, Chinese Students Association, Fuerza Latina and South Asian Association, co-sponsored the event. Many of the attendees were Asian-American College students. “We did aim the content of the event at Asian-Americans, but I think we… really were looking to get a more diverse range of the student body,” said Daniel Lu ’20, the programming director for TAPAS. “The lawsuit might be framed as an Asian-American issue, but obviously race-conscious admissions is a topic of interest for all students and particularly all students of color,” he added. Though the event was meant to bring together a variety of perspectives on the topic, some audience members said they felt the panelists were not representative of the range of opinions on the suit. “I think that today's discussion did shed light on a lot of things that I did not really consider as much—so it was fruitful in that perspective—but I do wish, and I've talked to a couple of other people who've felt similarly, that the panelists were more representative perhaps of different viewpoints,” Emma Lin '21, a member of the Chinese Students Association board, said. “During the panel discussions it felt like they were kind of echoing each other's sentiments without a lot of conflict and some students kind of felt like they were dodging hard questions as well,” she added. During the event, Cregor pointed out that lawsuits move slowly, and it may be years before the debate over Harvard’s admissions policies sees a legal resolution. —Magazine writer Devin B. Srivastava can be reached at devin.srivastava@thecrimson.com. Follow him on Twitter @thebigsriv.